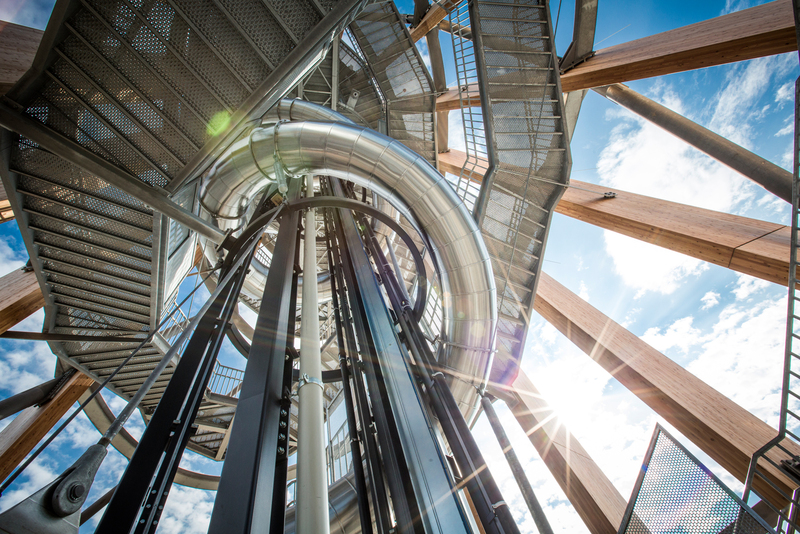 Carinthia’s most stunning lookout point – standing on the platform at 70.6m and gazing out on the magnificent landscapes which lie at your feet. 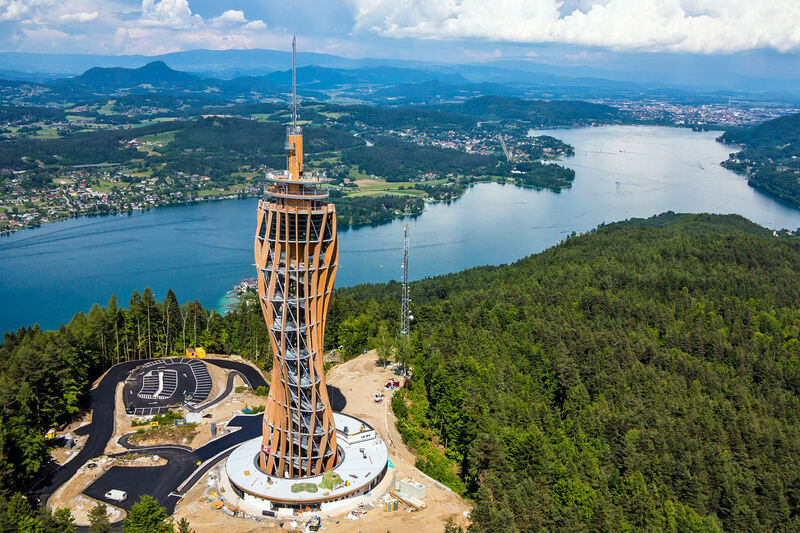 The wooden viewing tower at the Pyramidenkogel, which at 100 m is far the highest in the world, has the longest covered slide in Europe, three accessible viewing levels, a panorama elevator and a skybox that is protected from the weather. Maki, Nigiri and Sake? 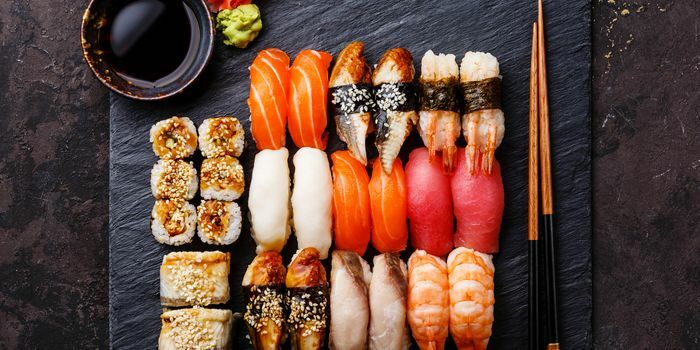 Experience exotic delights, explore the tastes of Japan and get to know the art of SUSHI preparation. 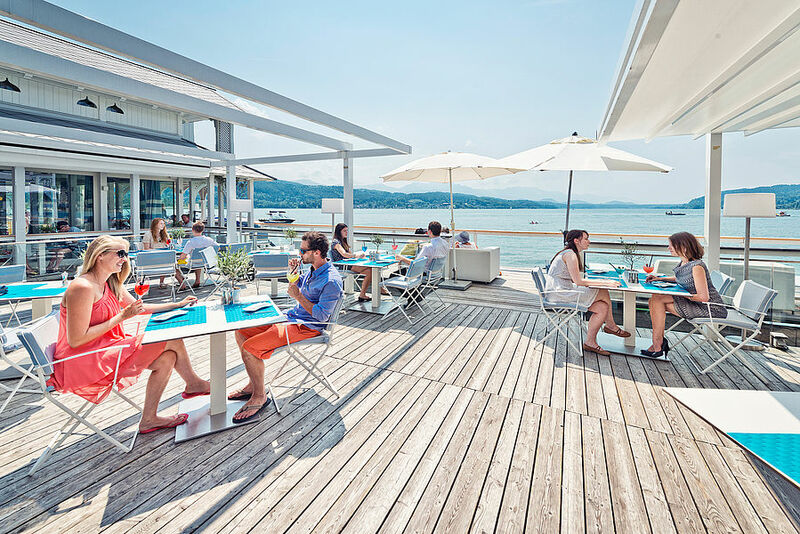 Falkensteiner Schlosshotel Velden’s Chefs are looking forward sharing their experience with you. Your sushi creations will be served as first course of this days lunch menu! Onboard a SPEEDBOAT we are heading towards our next lunch-course. You will experience the region from a completely different point of view. 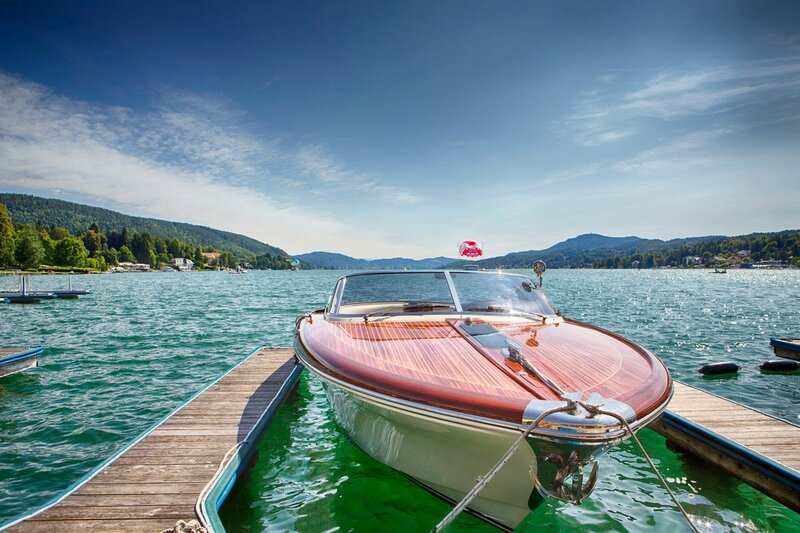 There is a saying that you only get to know the region of Lake Woerth once you have been on board a boat. 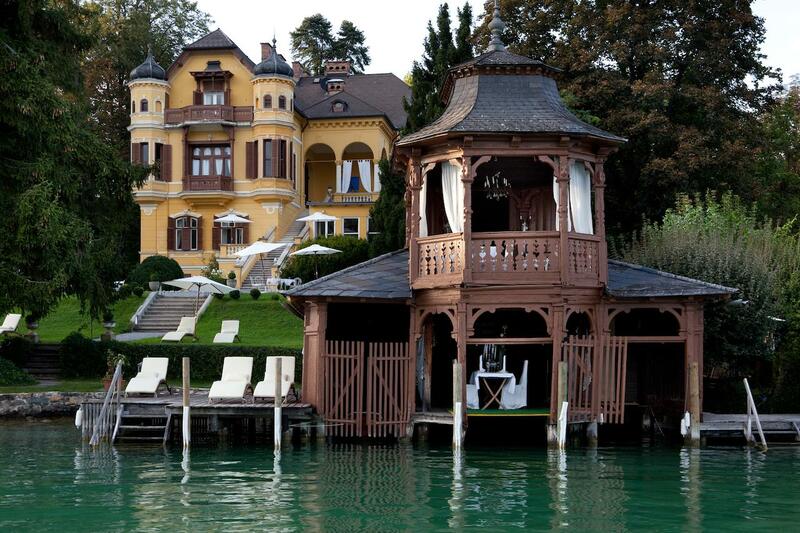 You will pass by amazing historical villas and castles, on the way from Velden to Pörtschach. You don’t feel comfortable on a SUP? Don’t worry – alternatively, you can walk along the promenade to the Schlossvilla Miralago. At the Schlossvilla Miralago a past era is still omnipresent: the good old times at the classic summer resort, the nearly forgotten holiday feel which is celebrated here in an equally relaxed as well as stylish manner, surrounded by pristine nature. Delicious, homemade sweets will here round your day at Lake Woerth off.